Our #1 bestseller!!! Voted "Best Shape-Up video" by SELF Magazine, Karen takes on of the most popular water toys ever invented and turns it into an effective, inexpensive and fun piece of water exercise equipment. You'll learn variations holding the noodle, sitting on the noodle, and even standing on the noodle. After the aerobic section, you'll learn how to use the noodle for a phenomenal abdominal workout. 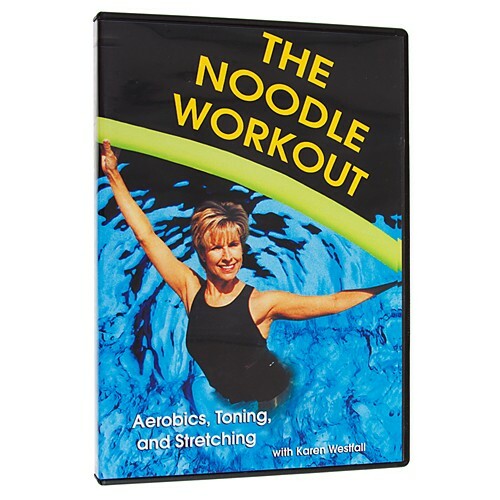 The noodle also provides added resistance for unique and effective strengthening and toning for the upper and lower body.